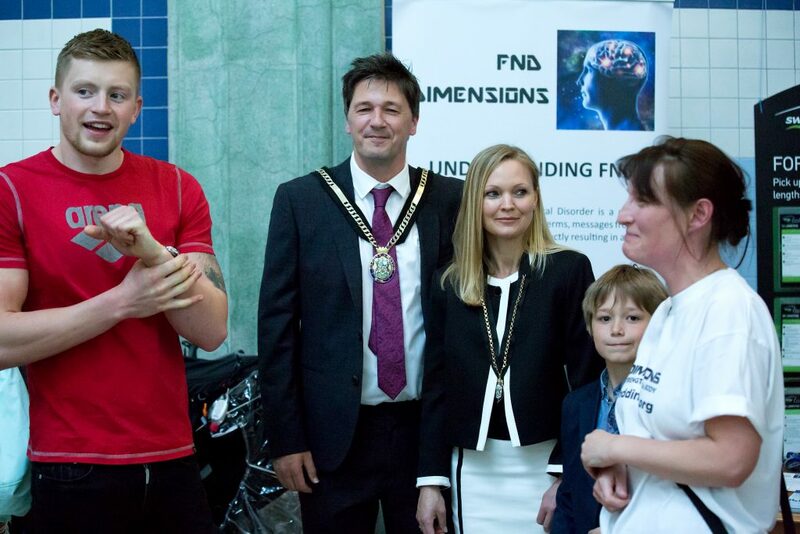 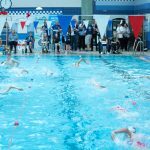 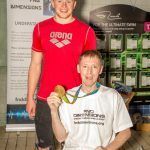 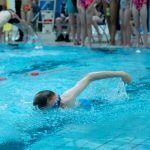 On May 6th 2017, FND Dimensions held an ‘FND Awareness Event’ in the form of a swimming challenge. 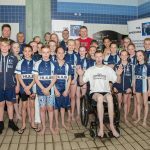 In terms of raising awareness it could not have gone better with an interview on Radio Derby’s Breakfast Show, coverage from BBC East Midlands News with interviews and coverage being aired twice and a half page spread in the Derby Telegraph. 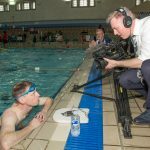 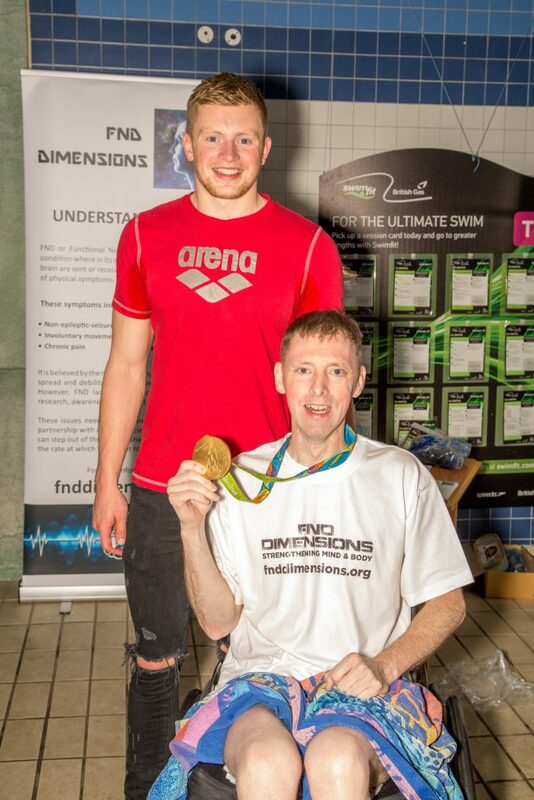 World, Olympic, European and Common Wealth 100m Breast Stroke Champion Adam Peaty MBE came along to support the event which saw Steve Webster swim 1 mile with only the use of his arms. 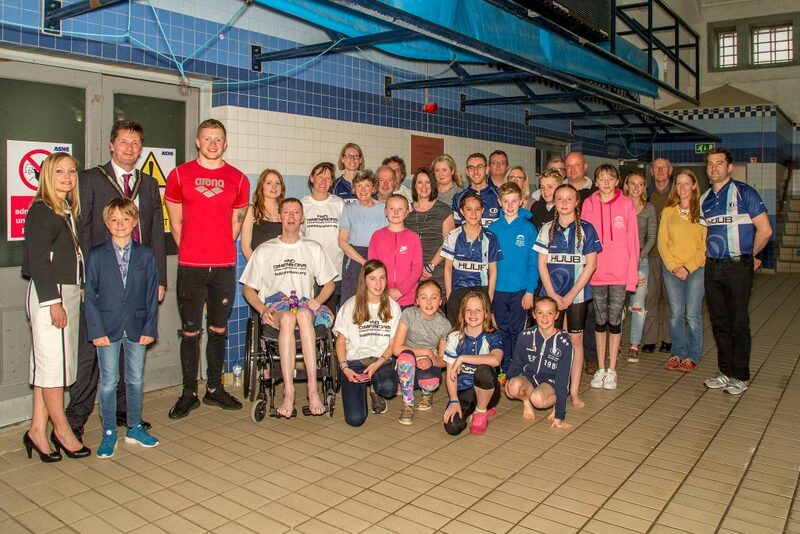 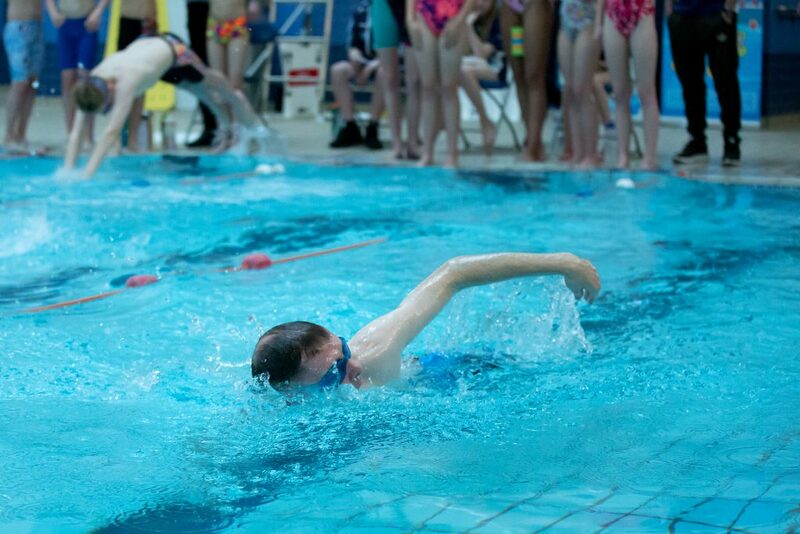 24 swimmers from the City of Derby Swimming Club also participated in the event which also managed to raise £2644. 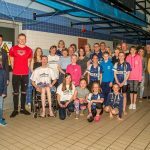 Adam Peaty said, “I find the whole event extremely inspiring”. 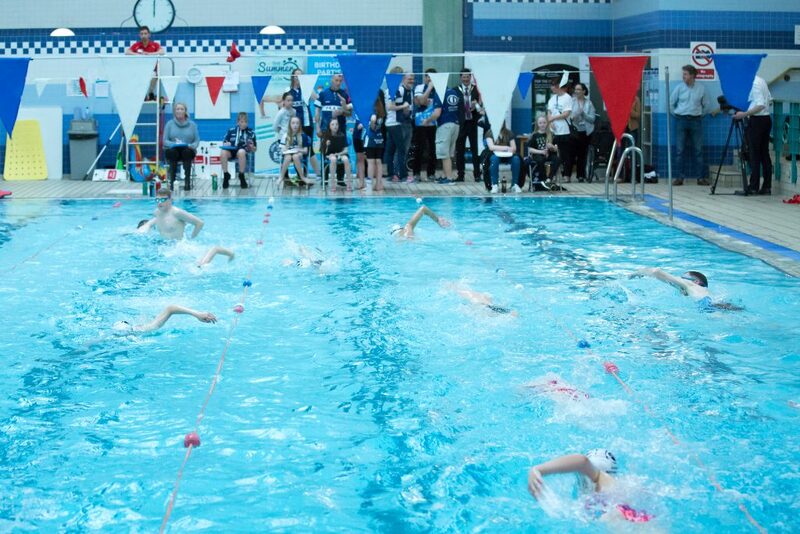 Please see below a few photographs of the event. 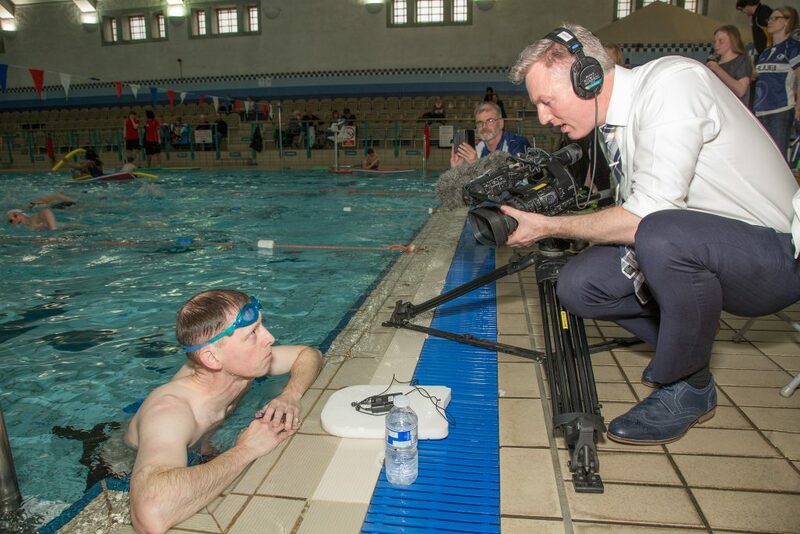 Many thanks to all who were involved and supported what was a truly overwhelming day.